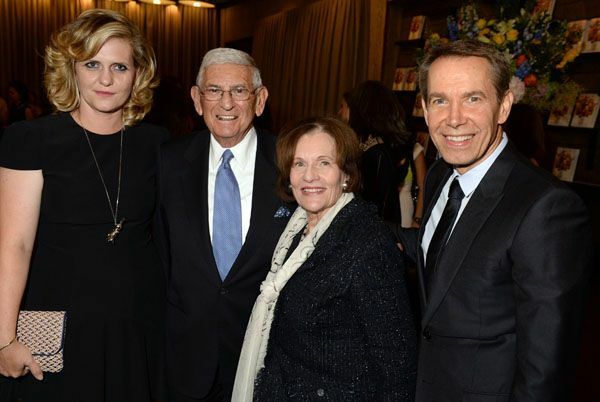 On Tuesday, Edythe and Eli Broad caught the early-bird special at the Whitney Museum in New York. 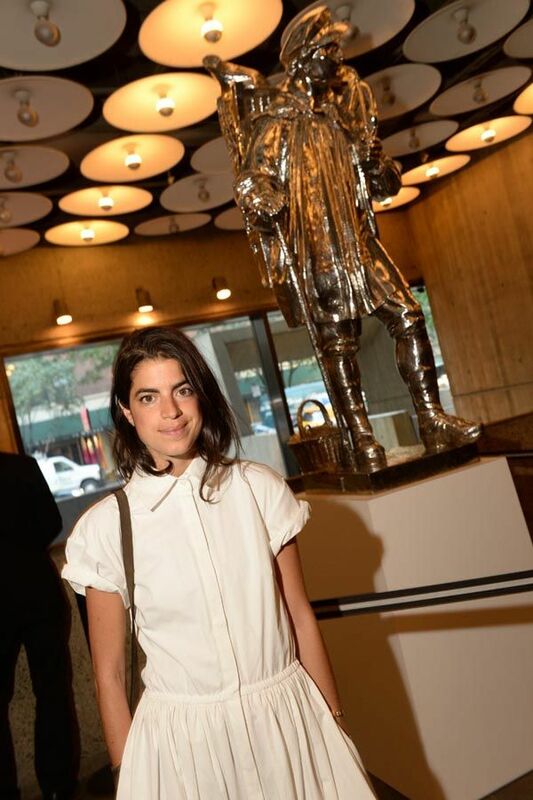 They arrived shortly after the doors opened at 6 p.m. to the epic 35-year retrospective of Jeff Koons. The Broads moved regally through all four floors devoted to the artist, 27,000 square feet in total, and, through it all, the elderly Edythe remained in her wheelchair. The Broads own about 35 pieces by Koons, including one of the five editions of his “Balloon Dog” series, the blue one; the orange one, formerly owned by the newspaper magnate Peter Brant, sold at auction last year for $58.4 million. 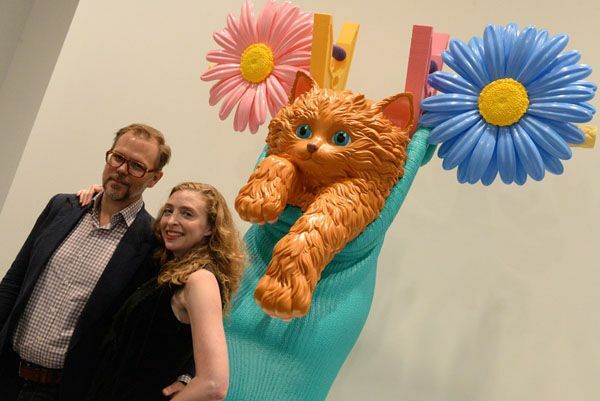 With their support, the Broads have contributed to the explosion of Koons’ prices over the years, paving the way for the kind of adulation he now receives and canonical exhibits like the Whitney’s. Hype for brand Koons has been building to a fever pitch especially in the last two years, ever since the museum revealed the retrospective as the last exhibit at its Madison Avenue building. Also there was Steven A. Cohen, the hedge fund billionaire who sold $88 million of his art last year after his firm, SAC Capital Advisors, pleaded guilty to insider trading charges. In the courtyard, Cohen ran into Zwirner: “You owe me a commission,” he told the dealer. They were all there to partake in a fun billionaire’s parlor game the comparison of the Koons. Several of them had lent pieces to the exhibit; the Broads lent a bronze statue of the Hulk, Bell an edition of a “Popeye” sculpture in granite. Others had left their Koons back home. Wynn owns two, a shiny sculpture in the “Popeye” series that cost him $28.2 million last month and a steel “Tulips” sculpture that he paid $33.7 million for early last year and will install at a hotel he’s building in Macau. Why is it that billionaires like Koons so much? The casino magnate offered the anecdote of when he encountered the “Popeye” at a preview of Sotheby’s May auction. “Everybody was gathered around the ‘Popeye’ and it was such fun. It was a very joyous kind of thing. I thought, wouldn’t that be great for the hotel?” he said. The sculpture is now stationed outside an Italian restaurant at the Wynn Las Vegas. For a second, Wynn put on his art critic’s hat. He and his wife, Andrea, recently spent some time at Koons studio and saw work in process, which he didn’t describe. “Although my painting taste tends to be a little older, I’ve always thought he’s a very interesting guy,” Wynn said. “And as he’s gotten older, the work has gotten better and better.” Walking amid the collectors were other figures from the art world Gagosian, Jeffrey Deitch, Cindy Sherman, Brice Marden, John Currin and Rachel Feinstein as well as a number of New York personalities like Tina Brown, Arianna Huffington, A.M. Homes, Leandra Medine and Alek Wek, who was walking around with one of the bags born out of the collaboration between Koons and H&M featuring one of the artist’s balloon dogs. For them, the exhibit was more an opportunity to play make-believe. “I have to pick one that I can buy with my imaginary money? Maybe the ‘Cracked Egg,’” Chow said, referring to another series. Later, outside the museum, she changed her mind: She wanted one of the balloon bunnies. Those sell in the millions. For now, the bag from H&M will have to do. It sells for $49.95.